Summer is going to be gone before we know it...yikes! I hope you've been able to hit the beach (or the pool), relax, shop some awesome yard sales, and try some thrilling new things. Maybe your idea of a good time isn't cliff jumping or zip-lining and you're more likely to get a thrill from completing a project or organizing your craft space! If that's you, check out this line-up of awesome DIY projects that you can still make this summer! This post contains affiliate links(*); click here for my full disclosure policy. You may not appreciate white English ironstone* like I do...and that's ok. 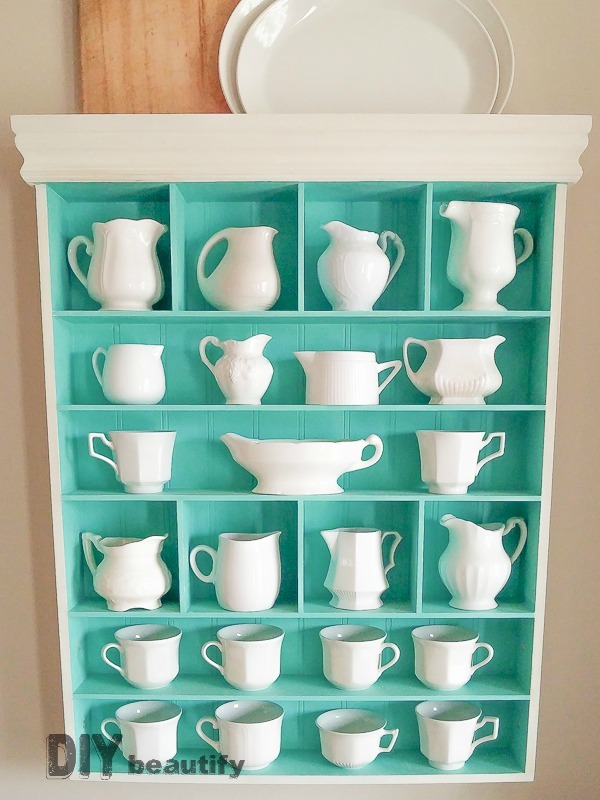 Think about what you can collect or what you already own and display your collection in a creative, colorful way! 2. Discover a New Use for Duct Tape! From purses to belts, hair bows to clothing...duct tape* is not just for guys anymore! 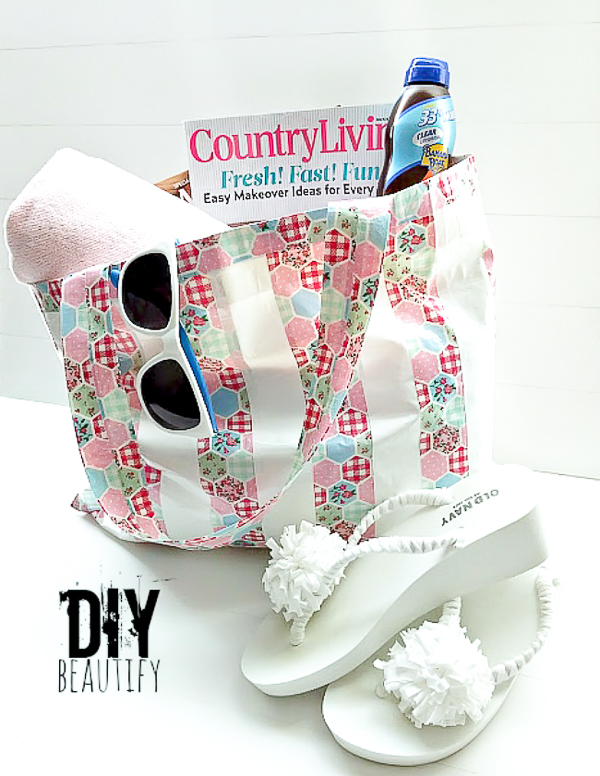 Craft yourself a cute duct tape beach/pool bag. Everyone will want to know where you got it! Try a duct tape wallet for a simpler project. Put your kids to work and paint something together. It's fun, cheap labor (hah!) and you can get as creative as you like with bright colors and patterns. 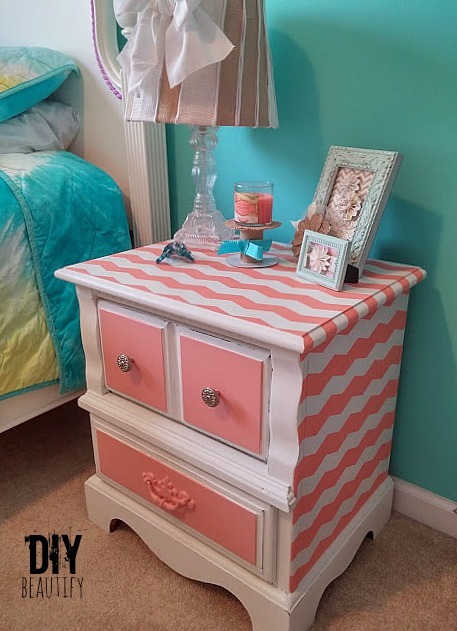 My daughter and I painted this chevron-striped nightstand together, and made some fun memories at the same time. You can click on the link to see what it used to look like. 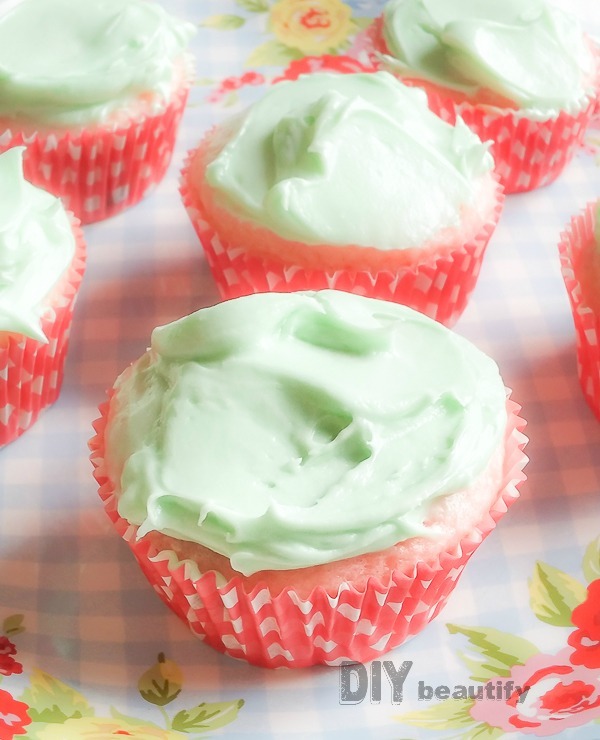 Find out what my favorite product* is that I rely on to paint perfect chevron stripes every time! Boutiques are fun to visit and browse, but the prices often deter us from making a purchase. 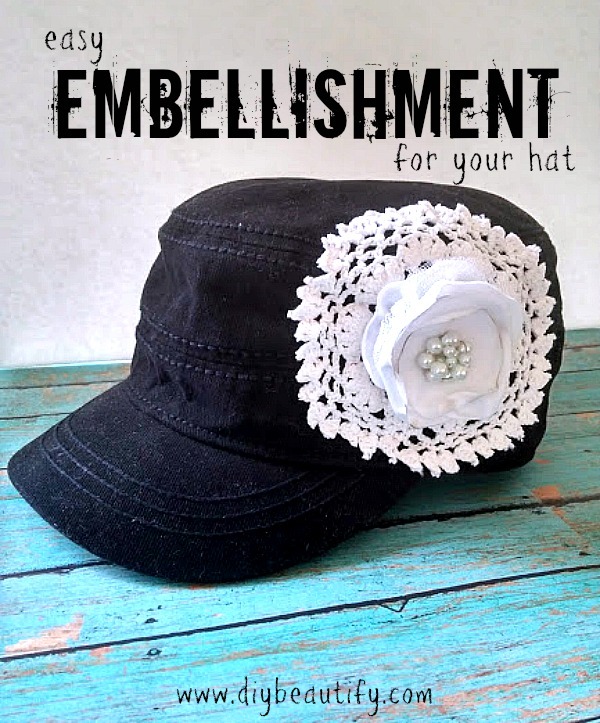 Create your own boutique-style hat in just an afternoon and wear it proudly with a feeling of accomplishment! Start with a cute hat* and take it from there with my easy tutorial! 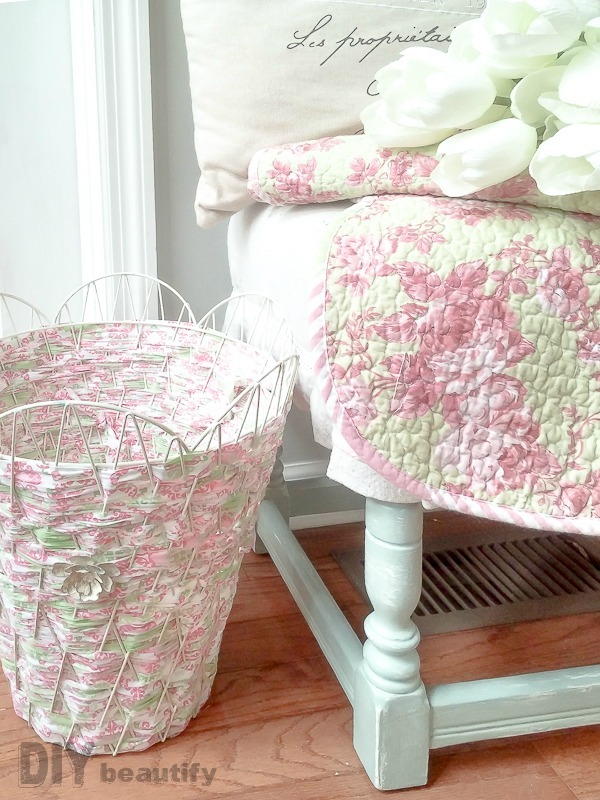 Put a yard or so of your favorite fabric to use (no sewing required!) and weave a fabric trash can or basket. 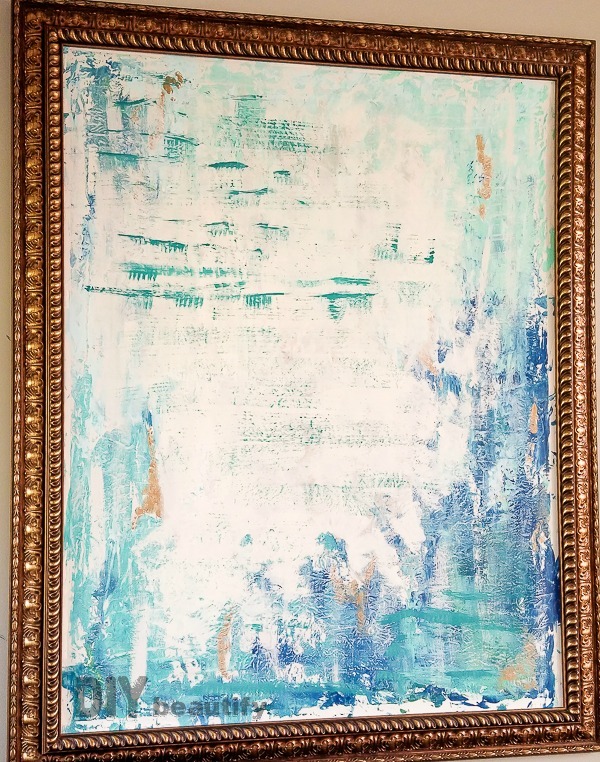 It's a great way to pull colors together in a room, as well as keeping small pieces in their place. Pick up an ugly thrift store painting (or use one you no longer love) and get those creative juices flowing with a DIY abstract painting! It's not nearly as hard as you think...and if you use this tool*, you won't even need to pull out a paintbrush! 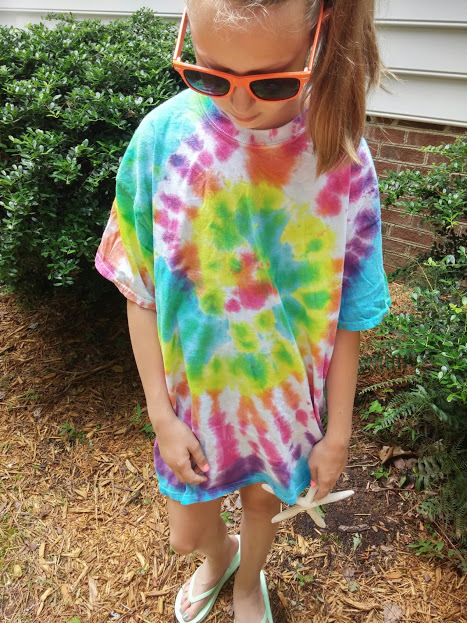 Pick up a tie dye kit*, gather the kids and spend an afternoon crafting these vibrant spiral tie dye tees! Each one will be different and unique...just like your kids! 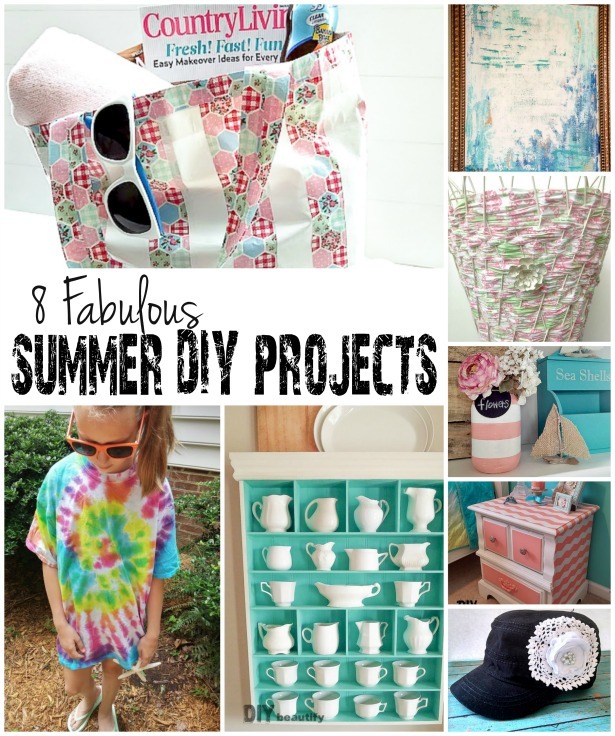 Why not give one of these projects a try before summer is over? Many of the items needed are available on Amazon or online, no need to drive to the craft store. Great Ideas! The duct tape swim bag is really neat.